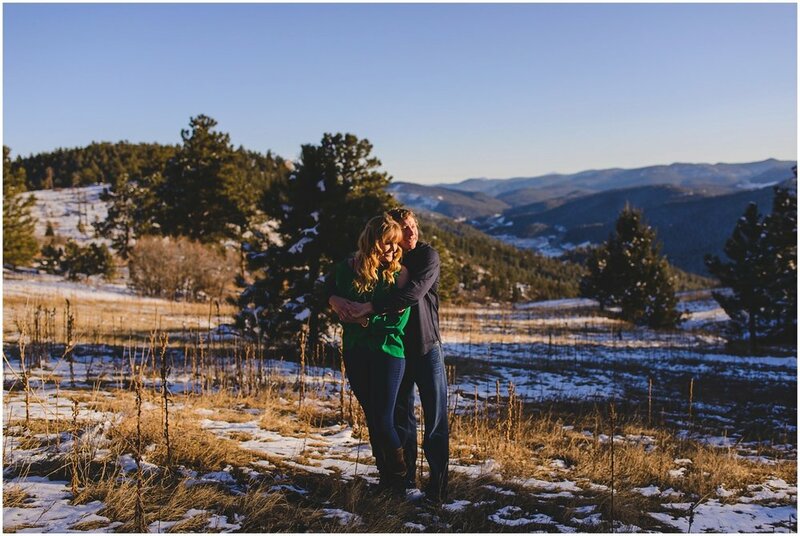 Adventurous Mountain Engagement session in Colorado! 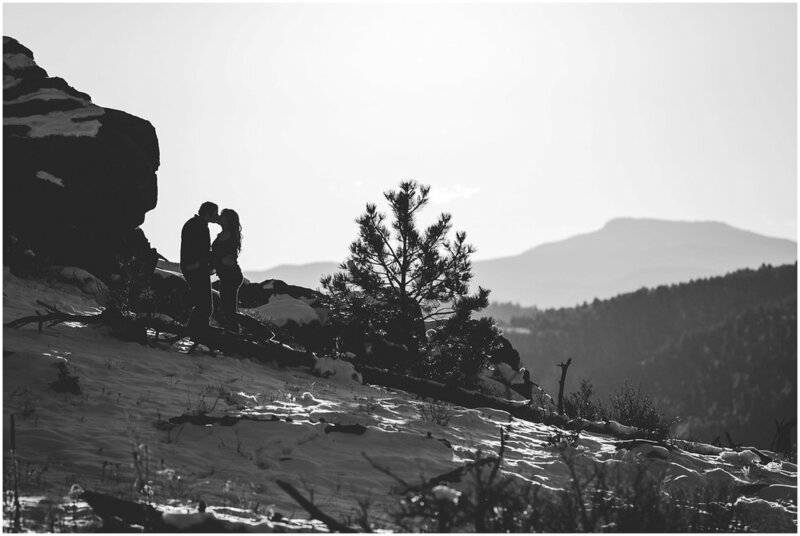 Nothing beats hiking around a Colorado mountain-top in the middle of Winter, with the sun blasting all around, and an amazingly fun and spontaneous couple! 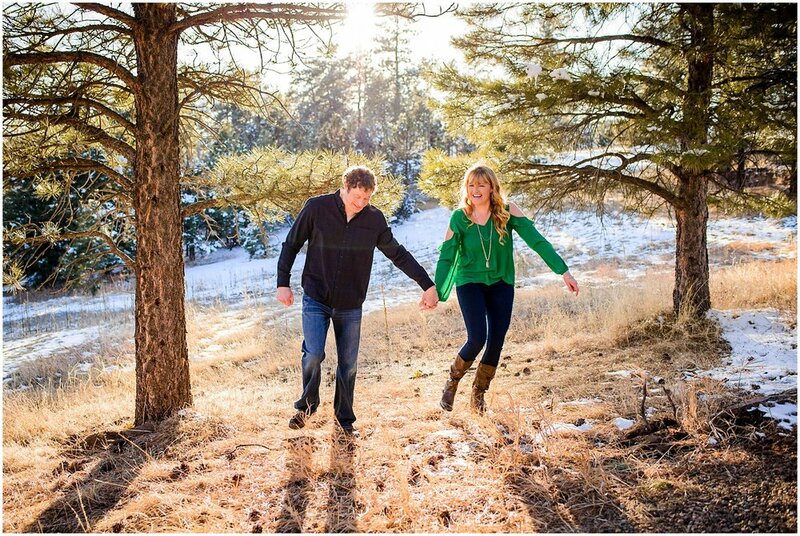 Becky and Scott were the perfect couple for this location, I mean, how cute are they? 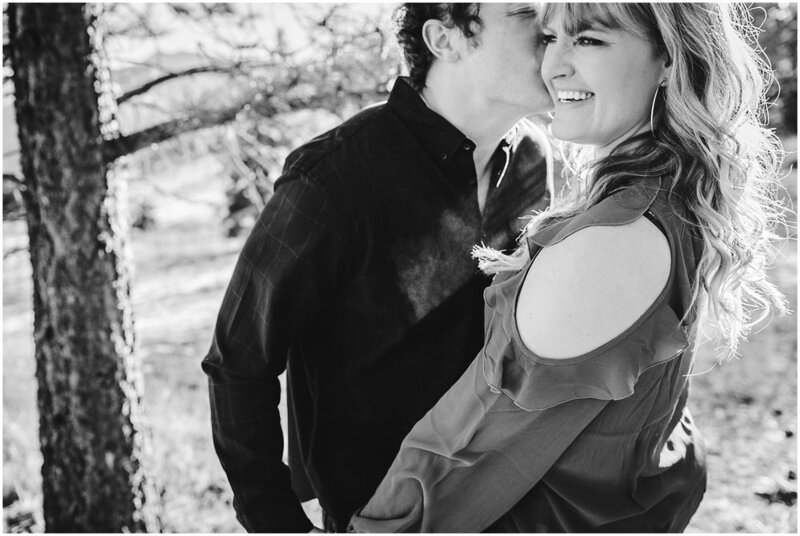 I love clients who are fun and spontaneous. These two are definitely the life of the party! They were up for anything - climbing on rocks, hiking through the snow, and being super adorable all day long! We met at Mt. Falcon near Morrison for these Winter engagement photos. I love Mt. Falcon Park spot for its easy access from Denver and its wide open trails. Mt. Falcon’s also accessible year round and it has great views of the downtown Denver, and Indian Hills. My destination clients love it because it offers all the appeal of Colorado without the high elevation and rocky roads! 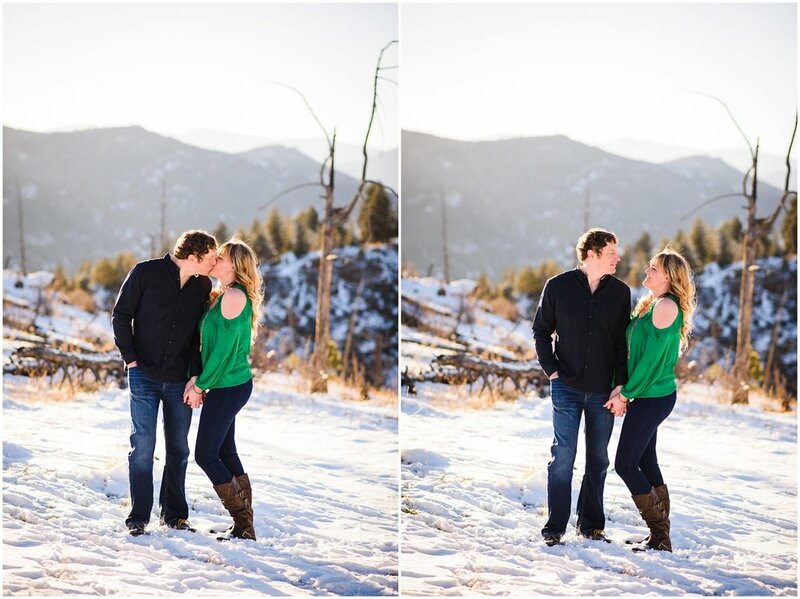 Winter can be a bit tricky sometimes for Engagement photography....not gonna lie! Days like this though, when the sun is shining, there's a hint of snow, and your subjects are up for anything...makes my job quite easy! There wasn't much snow but the sun was super bright which created such gorgeous color and lighting. 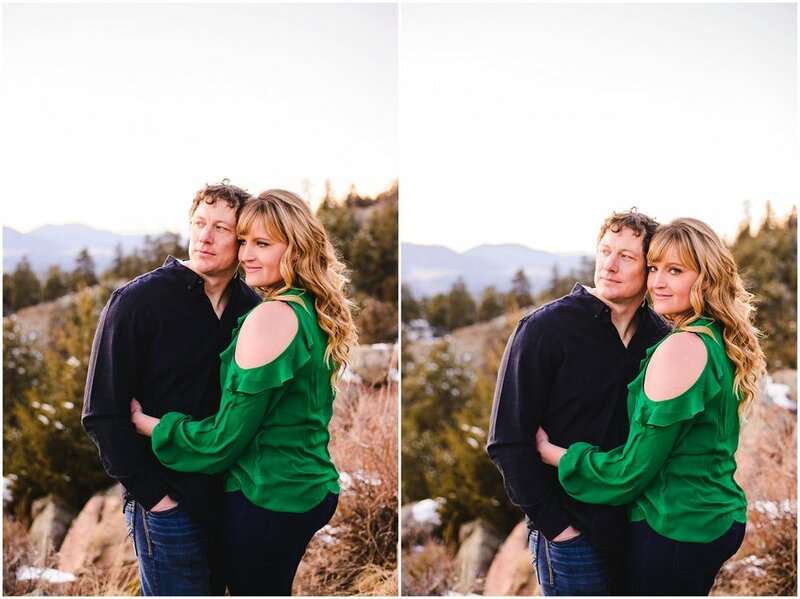 Sunset came and went really quickly but I captured some incredible moments of these two in that light. I couldn’t stop staring at how pretty her eyes looked with the green color of her shirt! Winter can make things a bit more challenging logistically....but it is also Colorado...which means you also get gorgeous sun and sometimes "spring-like" weather in the middle of winter! I also love the reward of a bit of texture with the snow on the ground and rocky mountains...which of course you can't re-create in the summer or Fall! 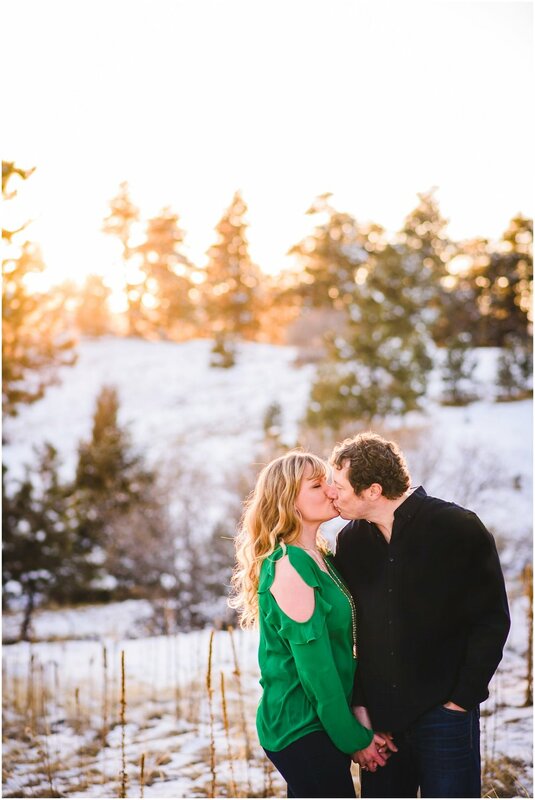 I have to say that all these Winter Weddings and Engagement sessions have been awesome...but I'm getting totally stoked for Summer and Fall in Colorado!! I love that Colorado offers all four seasons....keeps me on my toes, and gives such awesome variety in backdrops, lighting and adventures! Looking forward to the warm summer evenings, afternoon adventures with my kiddos, the smell of the Campfire...and then of course watching the Summer fade into Fall! 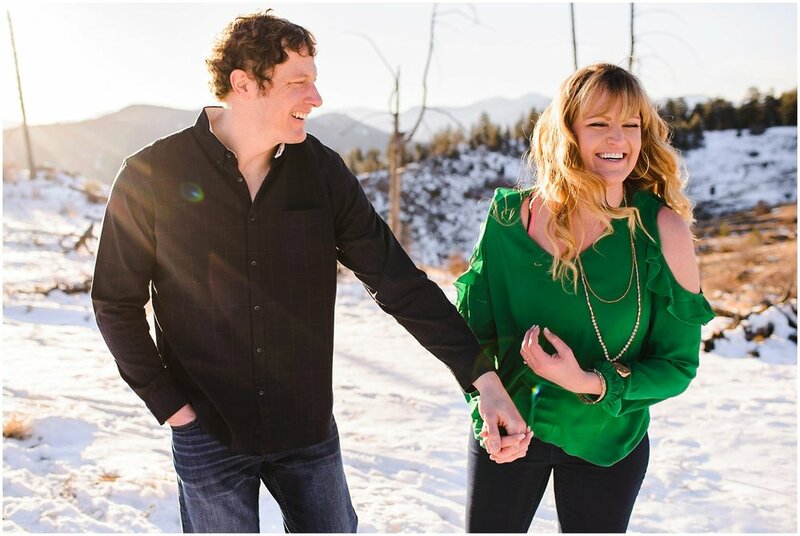 Whether you are in Evergreen, Keystone, Breckenridge, Vail....or anywhere in our beautiful state...the next few months will be killer!